Casper Mattress Review- The One Perfect Mattress? We receive free products to review and participate in affiliate programs. See our disclosure page for more information. The original Casper Mattress has changed designs many times since it was first released. 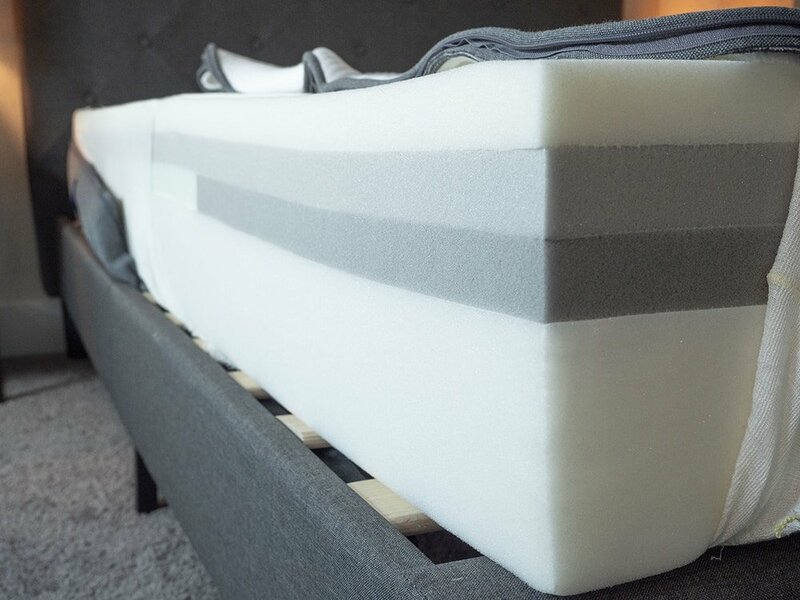 The newest iteration incorporates “zoned support,” which is meant to give support where it is needed while still keeping the rest of the mattress softer and pressure relieving. After sleeping on the mattress for a couple of weeks, I can say that it is an excellent mattress for all three sleeping positions. Casper is a great value that is also a great fit for all three sleeping positions. You can get $50 off a Casper mattress simply by clicking the link below. You Are A Combination Sleeper: The zoned transition layer makes it so you have proper support on your hips, but also good pressure relief on your shoulders. This makes it so you should feel comfortable in a variety of positions. You Are A Hot Sleeper: The upper layer is open-celled, so the foam is allowed to breathe. It helps dissipate heat, keeping you cool while you sleep. 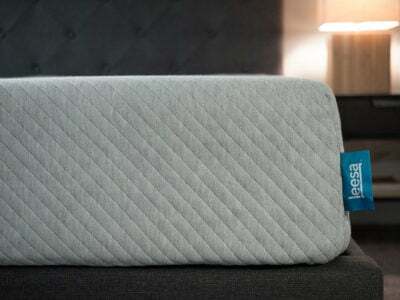 Memory foam sometimes causes people to sleep hot, but that is not the case with the Casper. You Prefer A Very Soft Mattress: While the upper layers are quite soft, the mattress has a medium firmness overall. If you want something very soft, the Casper may be too firm for you. Side sleepers who need extra pressure relief may want to seek a mattress that is softer overall. You Prefer A Very Firm Mattress: This definitely has a nice foam feel, so if you prefer your mattress to be firm, the Casper may be too soft for you. Stomach sleepers who need more support in this position may want to a look for a firmer mattress. You Want That Slow Sinking In Memory Foam Feel: The upper layer responds very quickly, so you don’t really sink into the Casper. If you like to slowly sink into your mattress, this might not be the best fit for you. The table below shows the weight of every size of the Casper, with just the mattress and also including the weight of the box. Twin 44 lbs. 53 lbs. Twin XL 46 lbs. 55 lbs. Full 60 lbs. 69 lbs. Queen 71 lbs. 80 lbs. King 91 lbs. 100 lbs. Cal King 90 lbs. 99 lbs. The mattress is 10” tall. It has a soft, thin cover that allows you to easily feel the soft upper layers of the mattress. The soft top layer is 1.5” of breathable open-celled foam. It has a feeling similar to latex and has some nice bounce. Then there is 1.5” of a slower reacting, high-density memory foam. This is good for pressure relief. Below that, there is 1.5” layer of zoned transition foam. It helps transition you from the soft upper layers down to the support layers smoothly. Finally, there is 5” of a durable support foam. The Casper is made in the USA. The Casper is available in Twin, Twin XL, Full, Queen, King, and California King. The upper layers respond quickly, so you shouldn’t feel “stuck” in this mattress. It should be easy to move around on the mattress as well. In addition, the transition foam has firmer zones that correspond to the heavier parts of your body. This allows it to be soft under your shoulders and supportive under your hips. The open-celled foam helps to dissipate heat, so shouldn’t be sleeping hot. The Casper also works with an adjustable bed. The table below shows you the current prices for each of Casper’s sizes. They did raise their prices, so it’s a little bit more expensive now than it used to be. The Casper felt like a 6/10 in terms of firmness, about medium. While the upper layer is quite soft, the layers below are a bit firmer. They work together to give the whole mattress this medium feel. The middle of the mattress is actually firmer because of the zoned transition layer. This zone gives more support for your hips while allowing the rest of the surface to be a bit softer. Because of this, I felt comfortable in a variety of positions. The firmer middle area supported me when I was on my back and stomach, and the softer areas relieved pressure on my shoulders when I was on my side. Overall, the mattress has a nice balanced foam feel. At the same time, I never felt “stuck” in the mattress. The upper layer is quite responsive with nice bounce, so it was easy for me to move around on the mattress. Being that the Casper is an all foam mattress, I expected it to perform well with motion isolation. There was some motion transfer during my tests, but very little. The glass moved only slightly as I moved around it. You shouldn’t feel too much disturbance if your partner moves around at night. This could be a good match for couples. Edge support is often an issue with memory foam mattresses, but that is not the case with the Casper. Sitting near the edge of the mattress, the mattress does collapse a bit, but I don’t feel like I am going fall off. Lying down near the edge, I don’t feel like I am going to be thrown off. Overall, the edge support is pretty good and this could be a good mattress for couples. You can see the nice edge support in the photo below. Marten is a staff writer for us. He has a much different body type from me. He is 6’7″ and weighs about 230 lbs (I am 5’9″ and 160 lbs.). Here is what he thought about the mattress. For Joe, he felt it was a 6 in terms of firmness. For me, it was more like a 7 out of 10. On my side, it felt a little bit firmer than it did for Joe. However, on my stomach and my back, I felt really nice support overall. So, if you’re a back or stomach sleeper and you’re my size, this could be a good choice for you. Marten’s experience confirms that the Casper is a good match for combination sleepers of many sizes. 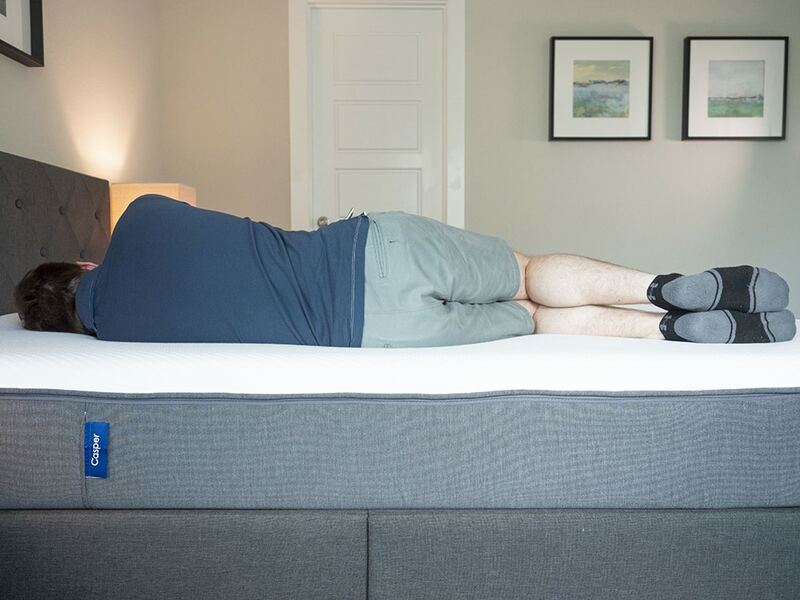 Casper claims there is no weight limit and hasn’t tested any weight where the mattress doesn’t stop providing support. If you are over 350 lbs., however, I would recommend finding a mattress specifically catered to higher weight people. This mattress could be a nice match for combination sleepers. The zoned transition layer allows it to be pressure relieving on shoulders and supportive on the hips. While some complain that memory foam makes them feel hot, that shouldn’t be an issue with the Casper. The breathable foam is open-celled and helps to dissipate heat, keeping you cool while you sleep. 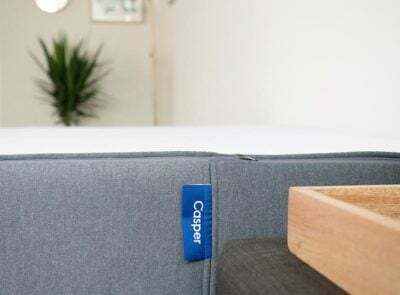 It gives you that memory foam feeling without you getting “stuck.” The upper foam layer responds quickly, so you shouldn’t have trouble moving around on the Casper. 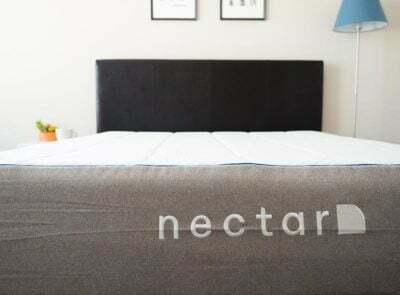 We would also note that this mattress made Sleepopolis’s best mattress list. Casper is perhaps the best known bed-in-a-box option with a latex over memory foam construction. The mattress is soundly constructed and delivered at great value. It is a solid mattress, but at this point I don't think the mattress (based on specs) really stands out amongst competitors, and isn't currently one of my top picks. The Casper original is a bed in a box mattress, which means it will come compressed and shipped straight to you. You will want to begin by removing the rolled up Casper from its box. Then, preferably with another person’s assistance, position the roll on your bed. Carefully cut the away the first layers of plastic until the still-compact mattress can be laid down flat. Then, pierce through the final layer of plastic and the Casper will expand. Simply clear away the excess plastic and allow your mattress to breathe and fully expand. The Casper could be a good match for combination sleepers of many sizes. The zoned support ensures that there is proper support on the hips, while keeping the shoulder areas softer for pressure relief. However, the Casper is medium in terms of firmness, so if you prefer a very soft or very firm mattress, this may not be the best fit for you. The Casper Mattress comes with a 100 Night Trial and 10-year limited warranty. My husband and I bought our Casper brand, Casper model, mattress in November 2018. We chose the Casper model out of the three (3) options because of our varying sleep styles. After two months with the mattress, we realized we had no complaints; we were never stiff or uncomfortable in bed anymore! It was a great realization. Our other mattresses made us stiff and definitely made any position uncomfortable somewhere on the body. Overall we are very happy with the product. We changed our bed frame at the same time for a slated model, as we read a box-spring was not going to give the best results. I was definitely skeptical as I knew slats aren’t overly sturdy; again we are very happy with the results. I recently purchased a Casper mattress upon the recommendation of my daughter. It was delivered and set up because I paid a $150 delivery/set up fee. I am not at all happy with the mattress. I am having it returned a week later. There are no brick and mortar stores in my area in NW CT. The closest retailer is either NYC or Dedham MA. Hence, I purchased the mattress completely sight unseen, without a test trial. I have learned that the set up and delivery fee is non refundable. Nowhere in the ordering process was this highlighted, underscored or emphasized to me. But it was not stated that this would not be a refundable expense. I spoke with one of the supervisors named Julia who was adamant and unyielding stating that “It has been completed’ and ‘was a service rendered’ and that she would ‘funnel; this information over to her team to make ‘our language’ more ‘explicit.’ This is just ridiculous. They have all the ostensible bells and whistles of being a lovely company but when it comes right down to it, the customer service is as hard and unyielding and disappointing as is the firm 4 layer mattress. They have lost a customer as well as a source of a positive reference. I hope they enjoy my $150!!!!!!!!! I’m looking for a review of Casper the Casper mattress. Is this review for Casper the Casper? In the first paragraph you refer to a “new” Casper mattress, yet the title says “original.” I’m confused. This is the one. You are in the right place. 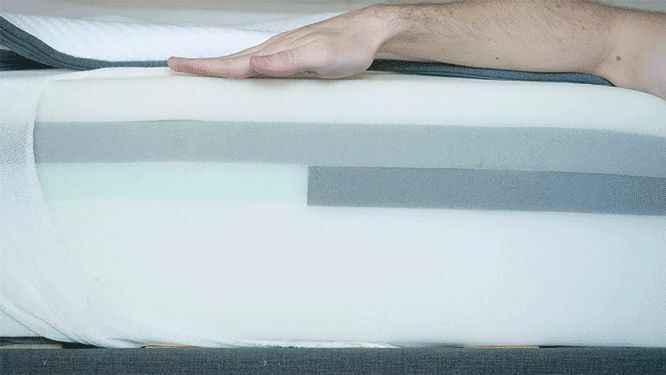 What is the expected durability of this mattress based on simulation testing? I don’t have any data on simulation testing, but it would probably last 6-8 years depending on your weight. What about for kids? Would the zoned support be a negative for developing/growing bodies? I like the idea of the zoned support. I’m combination sleeper ans so is my husband so this sounds like it could be an option for us! Company sponsored reviews seem to be biased. Other mattress sites say their product beats yours hands down with quality and price. Who are we supposed to believe? 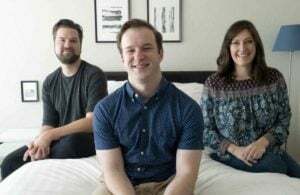 I have had a casper mattress, and I loved it so much when I first got it, but then it kind of sunk in where I had been sleeping and I had to keep sleeping in different areas of the bed. 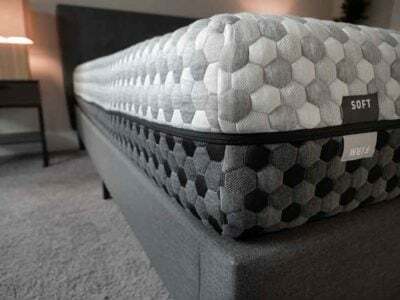 This mattress looks amazing! Mine is over 20 years old and I’ve been looking for a good one. My shoulders hurt from being a side sleeper. This sounds perfect for me. Maybe I could sleep and not wake up in pain. I could really use this mattress. Because of the coolness, support, and the quality. I get really hot at nt. So this seems like this mattress would keep me cool and give me the firmness I need for my lower back issues. I would just love to win a comfortable mattress like this one. I like a bed that is really cold because I sleep better when it is cold and very easy to fall alsleep. I would like to have a new bed because I am very disabled and cold used a new one. I would like to have a Queen size. Casper Zoned Support is Innovative Technology that Pinpoints Trouble Spots in your Body and Comforts them ! Good Idea ! I am a side/back sleeper who likes a cool surface. The discount code did not work. Just saw a Casper store today at The Westchester mall in White Plains, NY. So now there’s another option if you want to try it before buying. They also are at the Short Hills Mall in NJ according to the salesperson, probably others. They have stuff in stock for immediate purchase, although I’d rather have it delivered. Thank you for your very detailed review. 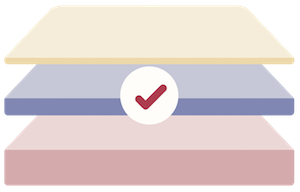 You offered the most details on the Casper than any other site- even more than on the Casper site. You explained how it is different than other memory foam mattresses and helped me to make my decision. Does It Sleep Hot? “There are probably other mattresses out there that do an even better job of sleeping temperature-neutral” Do you have their BRAND names? Casper did not work for me. 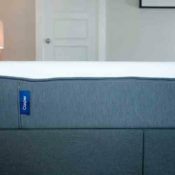 You can check out this article I wrote, https://www.mattressclarity.com/reviews/best-cooling-mattress-hot-sleepers/. I would like to get a coupon on this mattress so that I can purchase this mattress.